Thank you for coming to Kyodo Crazy Love last Tuesday. Recently the temperature difference is so intense that physical condition management is serious. Weather News say it might snowing in Tokyo today. I really worry about snow, because I go to Hokuriku area next week. I have work with bass again in Hokuriku next week, and I got a base as I had to practice. I have been searching here for a long time as it keeps my budget as much as possible and good things. 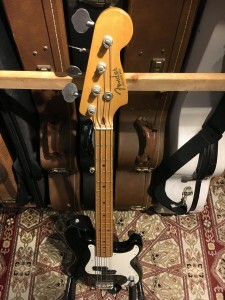 Finally, I found out Fender Japan Precision Bass(93′-94′) made by Fujigen. 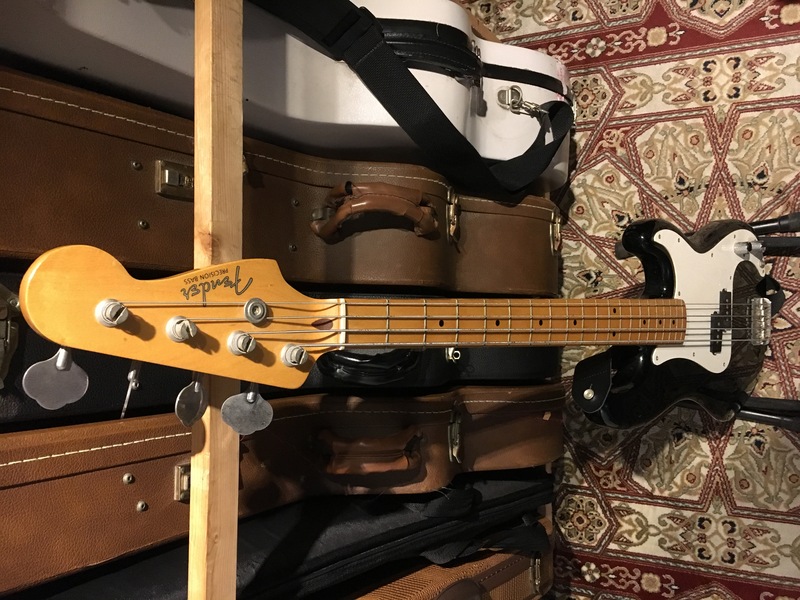 Maybe I should get jazz bass, but I really like precision bass sound. Because last year I had played Tokai precision bass its was amazing sound. Moreover, it was that the price was cheap (probably about half the market price?) So I went to the Yoshikawa in Saitama. But this was hell trip. With the time limit, I reached the recycling shop by connecting a train to a bus. Despite having taken confirmation of inventory in advance it seems like they don’t have it. So I caught a young clerk and let them search for it. But there is no time, I might not be in time for the return train on the way home. So I dashed the distance 1.5 kilometers to the station and I was in time for the train. So I practice quickly, but I have already blisters on my fingers.Ouch! This entry was posted in 日記 on Feb 9th, 2019.